Now, I could just see this going awry very, very quickly and ending with one of those classic Goofy surprised howls. However cliché that might have been, the truth is far more interesting. 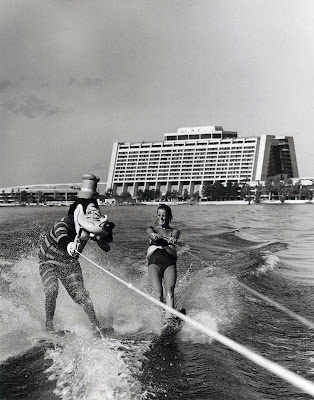 From 1972 through 1973 water skiing shows featuring daring feats and character-clad skiers took place regularly on the Seven Seas Lagoon. Depending on the year, the event was known as either the Walt Disney World Water Ski Spectacular or The Wonderful World of Water Ski Show and would feature up to five shows a day, including nighttime acts. The show could be seen from near the Magic Kingdom monorail station and did have an admission cost of between 50 to 75 cents. During the latter period of the show’s short history, a “D” ticket could also be used to gain admission. While the show only last a little more than a year, characters on water skis did not entirely vanish from the Vacation Kingdom’s waters. Throughout the 1970s and 1980s characters would glide alongside ferries and other watercraft, waving to guests. On other occasions, they would even glide up to shore for impromptu meet and greet sessions. 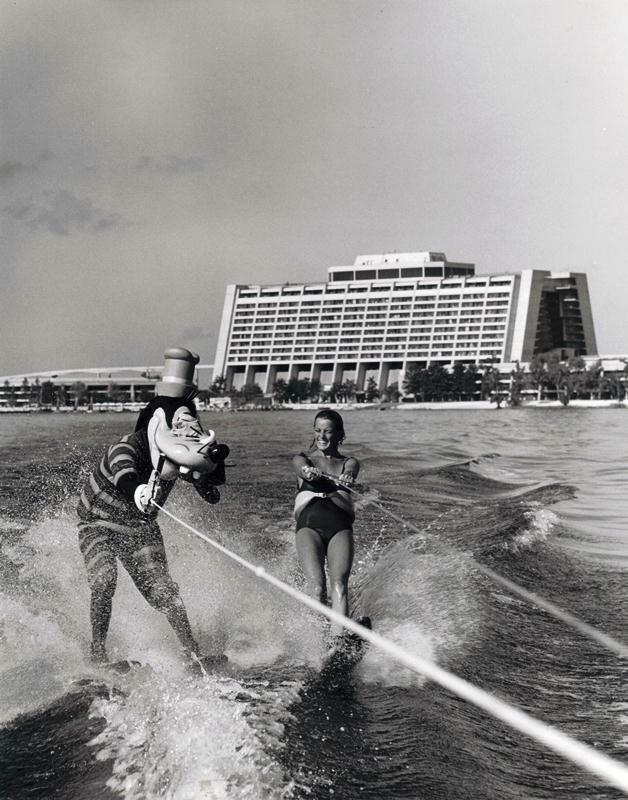 While Goofy in the photograph above was meant to inspire guests to take their own water skiing adventure around Bay Lake and the Seven Seas Lagoon, the picture harkens back to a time where anything was possible at Walt Disney World. While we haven’t seen water-skiing characters around property in a while, I for one would gladly see their return.